AOT’s occupational, physical and speech therapy specialists have been making a difference in the lives of Western Pennsylvania children for over 30 years. Our therapists have experience in multiple practice areas. We can fill the need for high-caliber pediatric occupational, physical and speech therapists and their assistants when school districts and agencies are short-handed because of employee leaves, illness or vacations. For more information, contact us at tempservices@aotinc.com. AOT provides many therapy and ADA related consultation services, such as site assessments and task analyses in homes and work environments. Businesses and agencies wishing to know more about AOT’s consulting services should email consulting@aotinc.com. 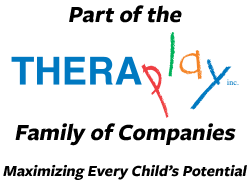 Make sure to visit our PARENT RESOURCE TAB for fun seasonal ideas and activities that are specially selected by our occupational and physical therapists to complement children’s home therapy programs.